I love to bake, I always make my cupcakes from scratch as they are so delicious and I am known for them in my neighbourhood. I like to make them for friends get-togethers, parties, and by request for special occasions. But sometimes, the kids want to do a quick baking activity, or I want to save my luxury cupcake recipes (which are quite costly to make per cake) and just make a quick and easy batch for school bake sales or for kids to decorate at home during play-dates or as a Saturday activity. 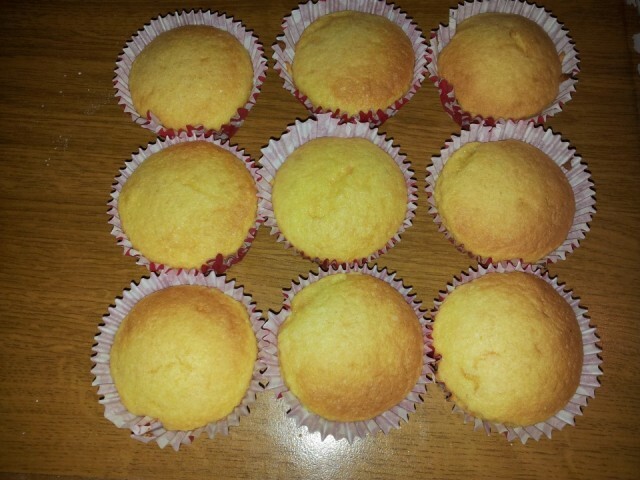 I decided to try out the Betty Crocker Sunny Lemon cupcake mix. The price of the mix is around £2.25 which is really cheap. You can’t argue with that price. It is very easy to make, everything you need is in the box, including the wrappers . The ingredients are contained in sealed, labelled plastic sachets. 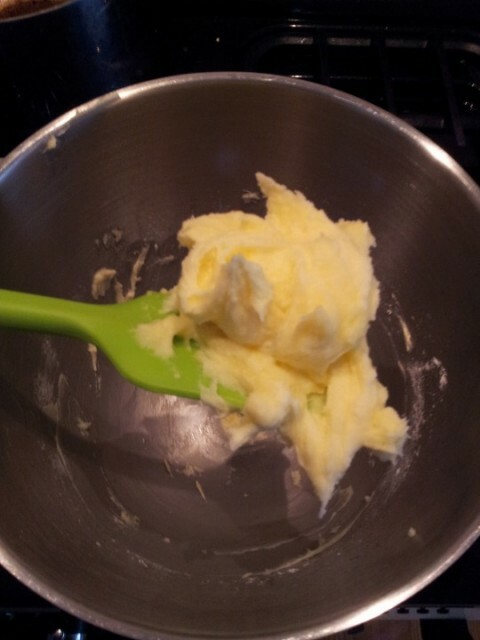 All you have to do is add eggs , water and oil for the cake and butter for the icing. Throw it all in the mixer and you’re ready to go. Question ? 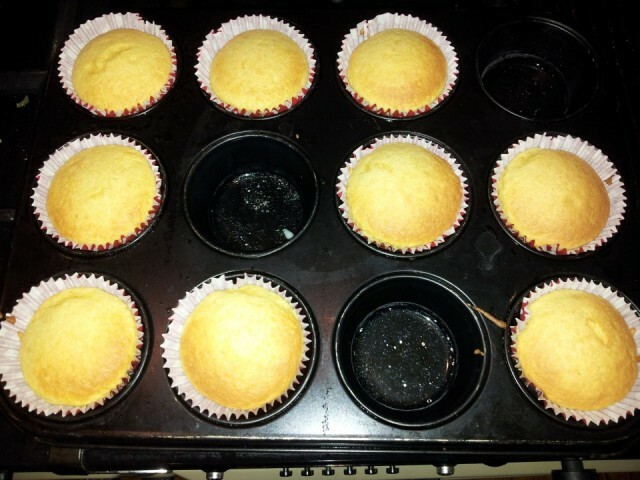 But why does it only make enough batter for 9 cakes when all muffin pans are either 6 or 12? Anyway, I popped them in the oven, and 15 short minutes later they were ready. While they baked I made the icing from the sachet provided. I just had to add butter to the contents of the sachet marked icing. The amount it made was so little I could lift it all on my mixing spoon at once, definitely not sufficient to make lovely swirls like the ones shown on the Betty Crocker box. 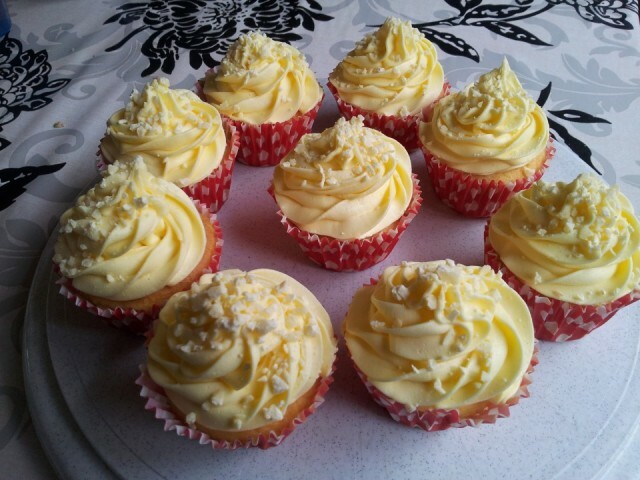 So I made my own lemon icing which required 4 times the amount of icing sugar and butter than the box asks for. When the cakes came out they were soft, light and smelled delicious…can’t fault the cake quality! I swirled my cakes with my butter cream and used the sprinkles included in the box provided to top them off. But how did they taste you ask…? 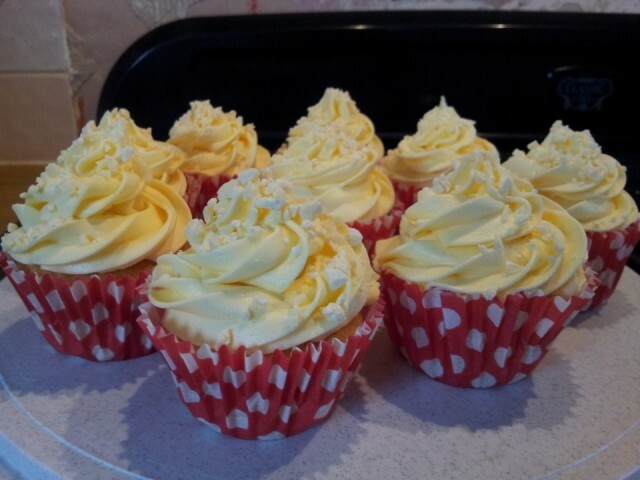 They were very good, a bit light on lemon flavour, but my lemon icing made up for it. 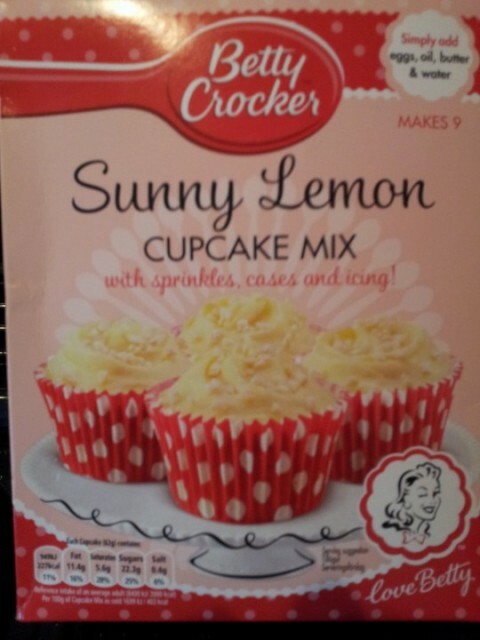 As a quick and easy cupcake, I rate it Betty Crocker Sunny Lemon 8/10 but I would not rely on using the icing provided. It simply is not enough! After all, half the yumminess of a cupcake is in the delicious icing on top as you bite into it. 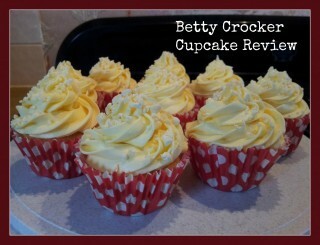 So if you decide to give these a try, I’d say go ahead with these Betty Crocker cupcakes, but DO make a decent amount of your own lemon icing!